Thinking about making a move? Or just curious about home values in your neighborhood? Give your local LUX Realtor® Lynda Hemeon a call today! 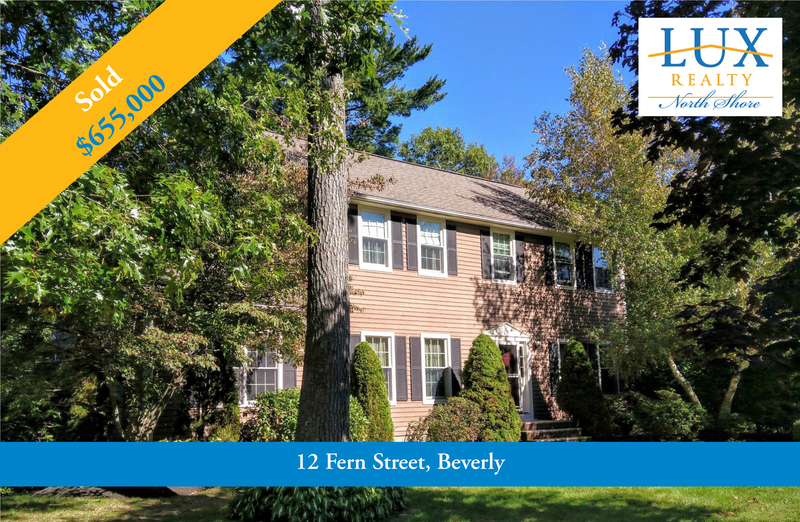 LUX Realtor® Linda O'Connor helped her clients purchase this beautiful home in Beverly. 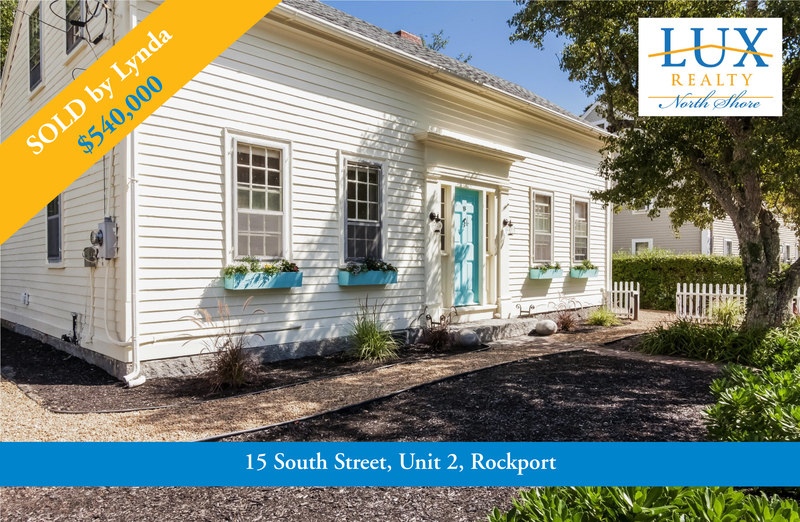 Thinking about making a move? Or just curious about home values in your neighborhood? 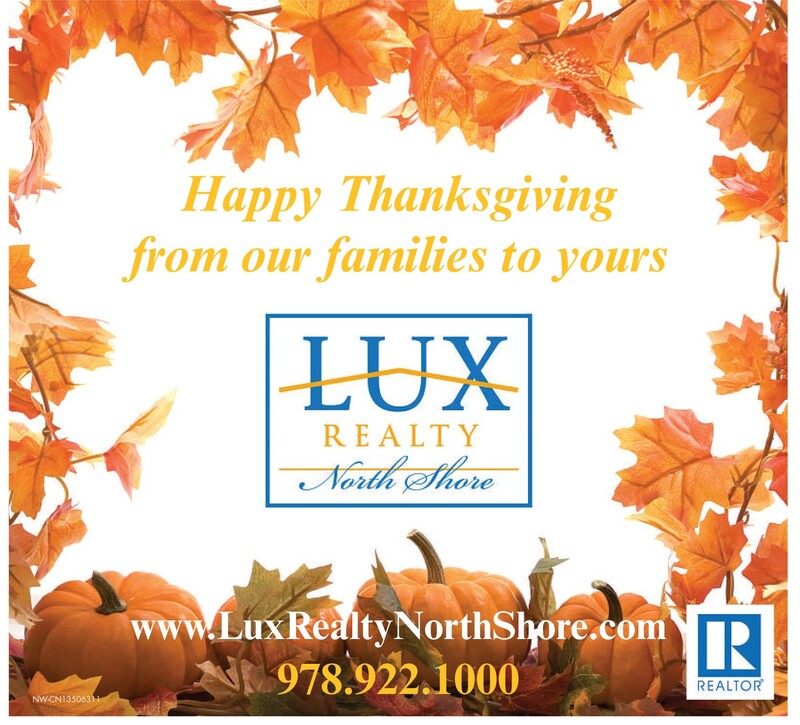 Call LUX Realty North Shore today! 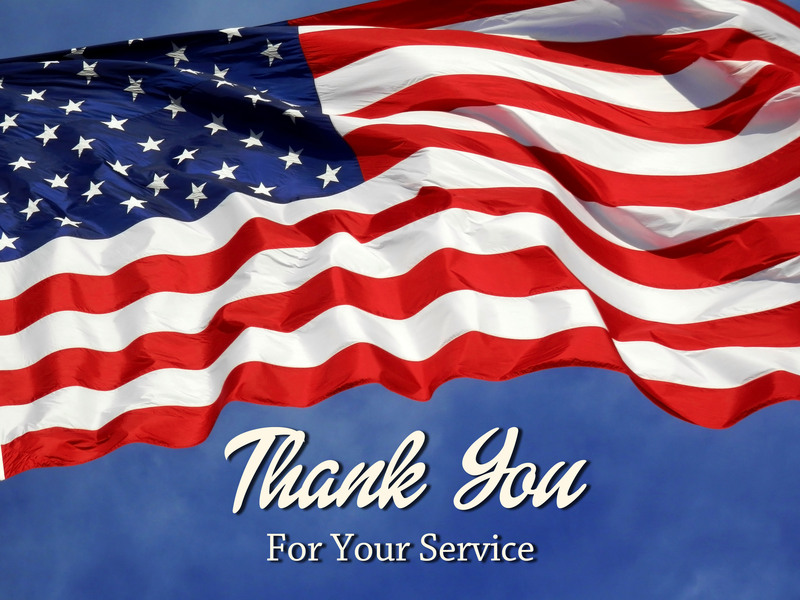 Thinking about downsizing or moving to a senior living community? 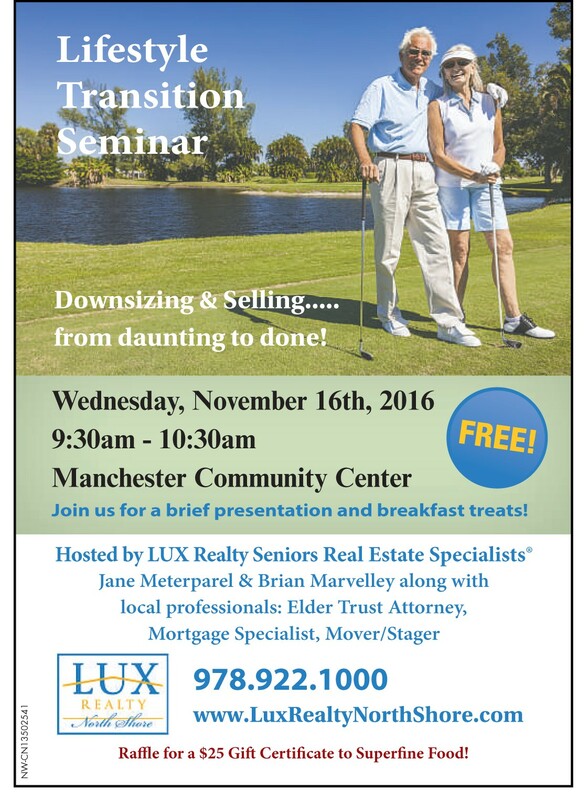 Join LUX Realty Senior Real Estate Specialists® Jane Meterparel and Brian Marvelley Wednesday, November 16th from 9:30-10:30 at the Manchester Community Center in Manchester-by-the-Sea for "Downsizing and Selling - From Daunting to Done" Come learn your options and learn how we can help guide you through the downsizing and moving process. Local professionals will be on hand to answer your questions including an Elder Trust Attorney, Mortgage Specialist, and Stager/Mover. Join us for coffee and breakfast treats and enter to win a $25 Gift Certificate to Superfine Food in Manchester!